Billy Murphy is an eCommerce professional, among many other things. 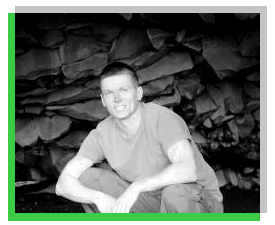 He has had success in business with Blue Fire Poker, his blog, Forever Jobless, and now he shares his knowledge on his training site called eComLab. Billy’s on the show today to talk about all things eCommerce, from how to get great deals buying sites to drop shipping vs. brand generation, and a whole lot more. There are massive nuggets of wisdom in this episode, so dig in! Which is better: diversified smaller stores or focused single stores? What expected value is and how it can help you win. How a failed business can be the right choice. Where to find higher upside in uncertainty. The best way to build a long-term eCommerce strategy. Each week we’ll be rewarding one special listener for signing up to receive a free copy of my 55-page ecommerce guide, Profitable eCommerce. Sign up here to request your free guide and be eligible for next week’s giveaway! Congratulations to Josh from Henderson, NV for grabbing your free guide. Be watching your mailbox to receive your personalized money clip and flask from GoodFella Gifts! Now you won’t have to use an old Chip Clip to hold your cash and you’ll never need a paper bag for your drinks again. Enjoy Josh and thanks so much for listening. Thanks again for having me on Andrew! Andrew and eCommerceFuel are kinda awesome, eh? He’s got some interesting/fresh ideas and shares a TON over here and we love his approach. Great interview with Billy. I to love the cartoons on Forever Jobless. They’re so simple yet so to the point.